If yesterday was a planned deferral from pre- to post-work, today was very much a last minute decision. Despite the motivation of knowing that if I ran before work all I had to do was come home at 5 and embrace the weekend, I just didn’t want to get up and go out. So I didn’t. Procrastination didn’t help me to avoid the weather tonight, but the rain wasn’t as bad as it sounded from the cosiness of the house and it was strangely refreshing to be out in it. What was less refreshing was the shock of plunging my right foot into something that turned out to be less of a puddle and more of a perfectly foot-sized well. Somewhat squelchily, I finished a three mile out and back and scampered home for my tea. 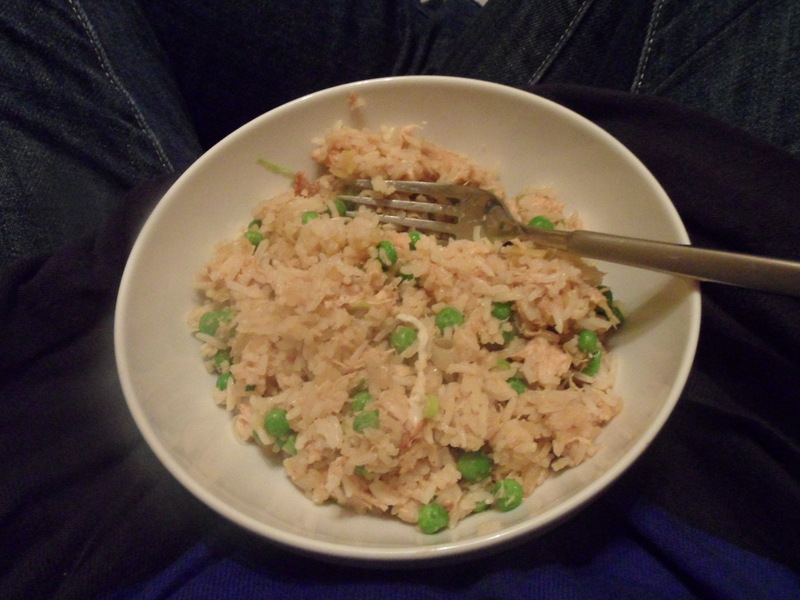 After taunting myself with the Perfect Egg Fried Rice for most of Thursday, I was looking forward to our version. We seemed to be developing a Friday habit of making homemade takeaway teas, which aren’t necessarily über-healthy, but are probably better for us than the many takeaways I endure running past on a nightly basis. Tomorrow I take on Miles with our weekly mile challenge and have the incentive of a day out in Lancaster to get me round even quicker. If you ever work out the recipe for mushroom chow mein, promise me you’ll share.